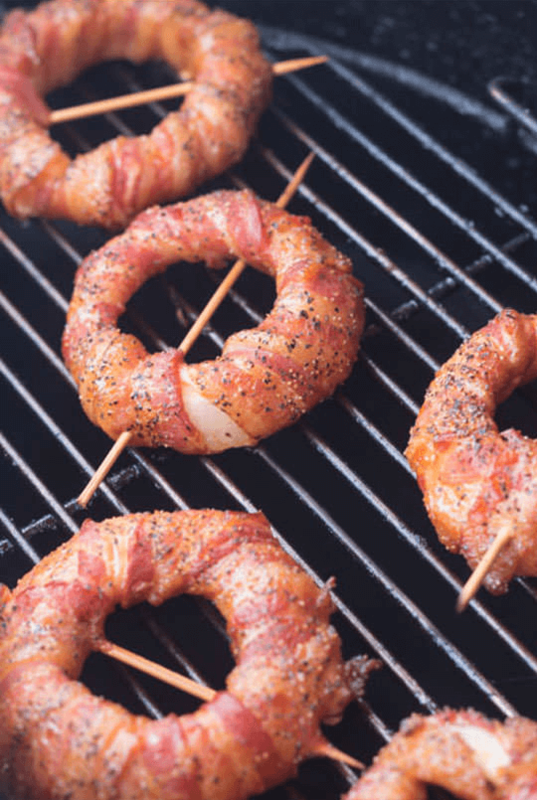 Check this out – Smoked…Bacon Wrapped…Onion Rings. Ellipses are here to add a dramatic pause, of course, between components of this delicious appetizer which should allow you to become fully aware of its yumminess. So, if we got your attention, and chances are we did if you are a gourmand, what’s coming is going to delight you. 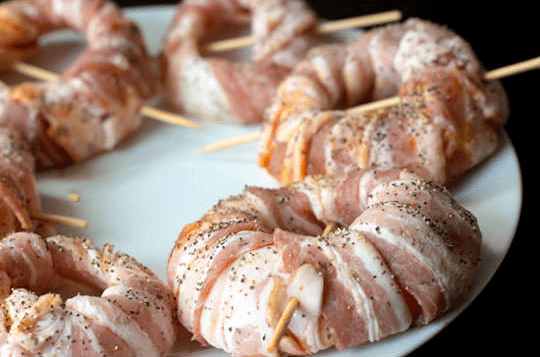 Here is a full recipe how to make bacon wrapped onion rings at your home. This great recipe is coming from the blog MmmGoBluBBQ.com, and you’ll probably want to dig it a bit deeper after you try this. 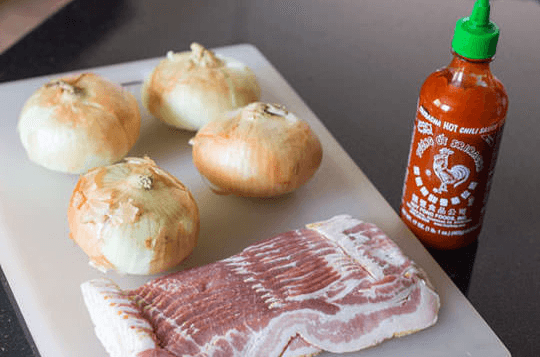 To make this amazing appetizer you’ll need just a few integrants – bacon, sweet onions, pepper and possibly sriracha hot sauce (or any other hot sauce you like), but it’s not necessary. 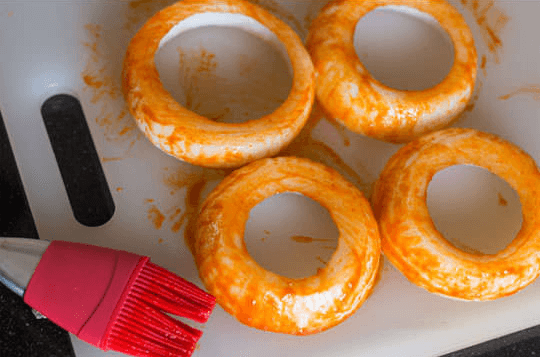 Firstly we do the Onion Rings part – cut the onion in half until you get roughly 1/2 inch tall rings. Then pop the middles out of the onion ring. 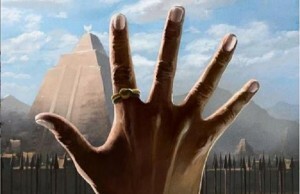 Be careful doing this, it can easily fall apart. Next, brush the hot sauce on thick. 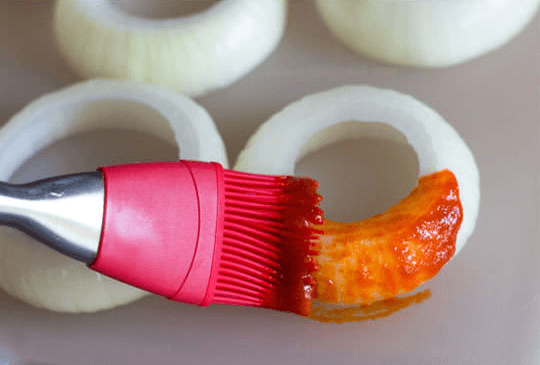 Sriracha hot sauce is thick so it will stay on the onion the whole time and will not dip. 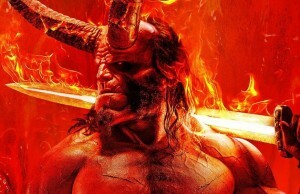 Looks interesting already, doesn’t it? And now, the Bacon comes in! You’ll need about three slices of bacon per onion ring to wrap it. Use a long skewer or toothpick to keep things nice and tight. Heavily cover the onion rings with pepper and smoke, grill or bake for about 90 minutes at 250-350 degrees. 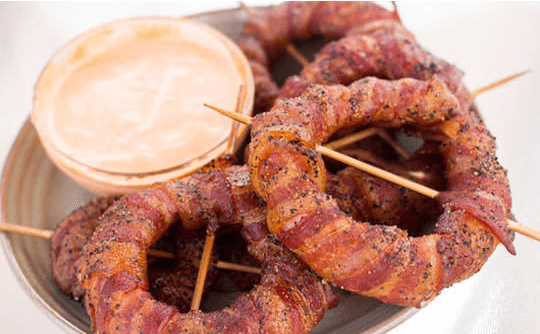 This delicious appetizer, smoked bacon wrapped onion rings, goes well with a spicy mayo dipping sauce or you can let your imagination play a bit and add some of your own. Bon appetit! 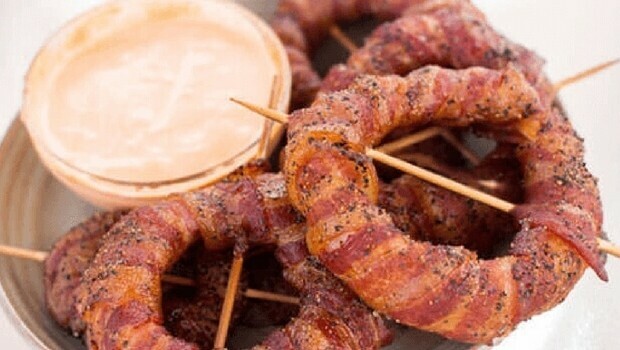 Wanna try this bacon wrapped onion rings recipe? 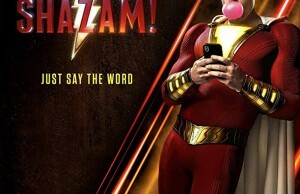 Invite your friends to come over by sharing this post and share the experience with them!